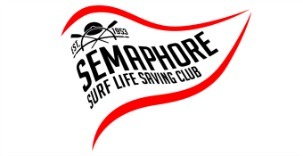 Westpac one dropped in to Semaphore SLSC on Saturday, giving patrolling members and the public a chance to take a closer look at our rescue operations. Club Member James Brogden was on hand to share his knowledge. A true success story of a young Club member following his dreams, James recalled how as a 13 year old he’d decided he wanted to be a part of helicopter rescue operations. He worked towards that for 7 years, determined to make his childhood aspirations a reality. Now he is living the dream! What an inspiration for the young members of our Club! It was certainly a family affair too. Several members and their families getting a chance to share in the experience. Thanks James and Westpac 1 members for allowing us such a close up experience.